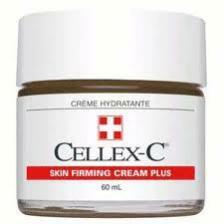 Cellex C Skin Firming Cream is just one of many Vitamin C based products produced by this company. Visitors to this company's website may feel as if they are being spoken to because in order to proceed the website asks questions to determine what type of skin you have before making skin care recommendations. Some skin care manufacturers seek patent protection while others are content to advertise. Scientifically formulated Cellex C Skin Firming Cream is a patented formula owned by the cosmetic Cellex C Company. This unique skin care company uses Vitamin C, specifically L-ascorbic acid, as the primary ingredient in their line of skin care products. In addition to creating beneficial skin care products, the Cellex C Company conducts research and creates formulas to help treat medical skin conditions including stage 1 and 2 acne rosacea. This chronic condition affects millions of Americans between the ages of 30 and 50 causing red, inflamed pimples. There is no defined cause for this disease; however, the Cellex C Company is leading the way in developing new formulas to help reduce the affects of rosacea on the skin. A skin care company that works to improve the lives of all people including those with medical skin conditions is a welcome change from profit-based companies. 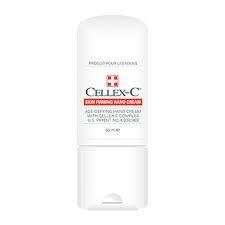 When considering Cellex C skin firming cream it may help to understand what a firming cream does and does not do. Firming creams do not reduce cellulite. While there are some advertisements that claim a firming cream will eliminate cellulite and reduce inches, these claims are false. Cellulite and unwanted inches can only be reduced by exercise and diet. Creams that firm the skin must also contain ingredients that help the body nourish the skin and help restore collagen, and many contain vitamins and retinols which are concentrated Vitamin A substances. Elasticity is another aspect that must be taken into consideration when choosing to purchase a firming cream. Skin elasticity is lost over time as part of the natural aging process and keeping skin healthy from a young age is one way to lessen the affects of aging. Using enriched products regularly, including Cellex C skin firming cream it is possible to reduce the signs of aging and restore elasticity to the skin. The unique formulation of Celled C Skin Firming Cream Plus contains the Cellex C company's patented Complex formula and lycopene, a natural substance found in tomatoes. Lycopene is a scavenger-type substance that seeks out free radicals and prohibits them from destroying skin cells. Free radicals are created when weak molecular bonds break causing molecules to transform into ones that seeks out weaker molecules from which to steal electrons. In some situations, this is beneficial like when the body's cells attack bacteria or viruses. However, the natural aging process also creates free radicals, as can exposure to the sun, chemicals, pollutants and cigarette smoke. This means that Cellex C Skin Firming Cream Plus will be more effective when used daily by someone eating a healthy diet, full of fresh fruits and leafy vegetables, who does not smoke. Like Cellex C Skin Firming Cream Plus, the Cellex C Skin Firming Hand Cream contains L-ascorbic acid, but includes tyrosine an amino acid that restores skin health. It also contains zinc to help heal skin tissues, and is an astringent that helps pull skin cells together, and chamomile extract, which helps the skin regenerate and reduce inflammation. To help keep your hand's skin from aging prematurely, use a sunscreen whenever you are outside in the sun. Also, make sure you apply a hydrating healing lotion every time you wash your hands, then wear gloves to protect your hands from chemicals, injury and the wind. Bio-Botanical Hand Cream by Cellex C is formulated with evening primrose oil, aloe vera, and extracts from arnica a skin healing herb, chamomile, elderberry which is an antioxidant, horsetail rush that increases circulation and mallow an herbal moisturizer. Cellex C Hydra Hand Cream contains many herbal extracts, such as Kukui nut oil and SPF 15 sunscreen, and is for use by both men and women. The unique patented formula of Cellex C skin firming cream provides customers with the right proportion of ingredients to heal, restore and firm skin tissues.